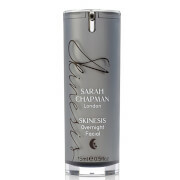 This luxurious, lightweight oil deeply hydrates skin and creates a youthful-looking glow. 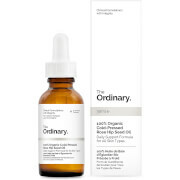 This facial oil absorbs instantly and locks in revitalizing moisture. Frankincense essential oil helps to rejuvenate while Rose oil smooths and firms the skin. Perfect for all skin types that need a daily boost of vitality and that lit from within glow. Apply just a few drops under your moisturiser for radiant skin. This is like heaven in a bottle. I adore the rose scent of this product. It smells so natural. This Revitalizing Facial Oil is beautiful, it absorbs into the skin really quickly and is excellent for dry skin to keep it moisturised and stop the aging process. I am always being asked what I use on my skin to make it look so supple, young and clear! The aroma is also really relaxing and luxurious. This is the perfect product for me. My daughter lives in UK and bought some as a gift for me on my annual trip, just loved it, I have mature skin and it seems to soak/slide into your skin and makes it feel like silk, Aussie sun is not kind to our skin, and I, like most of us are always on the look out for good moisturizers, have found that this product plumps up the skin and forms a barrier to retain the moisture. Sound like an ad, BUT it is an excellent product...and I share with my friends here!! !